The latest edition of the Wythall Radio Club Newsletter has just been issued in time for 2015. That’s the hot-off-the-press news from Editor Chris G0EYO. 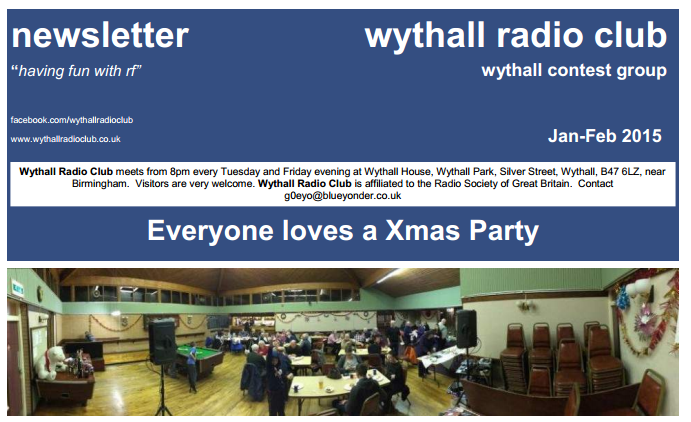 With articles on the recent Wythall Radio Club Christmas Party, our Christmas Foxhunt, a Portable D-STAR Repeater, Building a Successful Contest Station coupled with the latest from the Club’s Training Department, it is available just by clicking here or by clicking on the Newsletter icon and graphic on the left of this post. We hope you will enjoy reading it as much as we enjoyed making it! “The Future of Amateur Radio” is the title of an interactive discussion evening this coming Tuesday night at Wythall Radio Club. 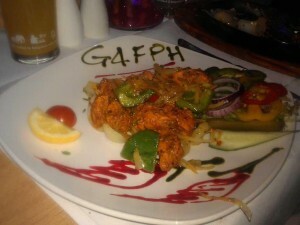 G4FPH also has novel ideas about how he likes his curries! Friend of the Club, Mark G4FPH, has been gathering more than a few thoughts about where he thinks the hobby may or may not be headed in the 21st Century. What is more, he has a number of very radical proposals! This Tuesday evening in the Club Shack, he will be laying out some of his personal thoughts, with invitations for Wythall members to feed back in person what we think of them! Sounds dangerous! We are certain to keep it polite in true WRC manner, but it is shaping up to be a very interesting, if controversial evening. Can you afford not to be there? Wythall House, Silver Street, B47 6LZ on Tuesday 30th December at 20:30. It could be a fascinating way to end your year! 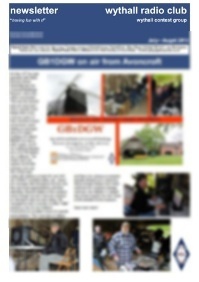 Once again we are proud to report that one of Wythall Radio Club’s members has made it into the national radio press. Barry M0DGQ is one on his own, a real home-brewer of radios and accessories in the time-honoured radio amateur tradition. A quick glace at his personal website reveals a man steeped in “proper” radio expertise. For those readers of the esteemed G-QRP club’s quarterly magazine SPRAT, Barry’s name is becoming quite well-known. 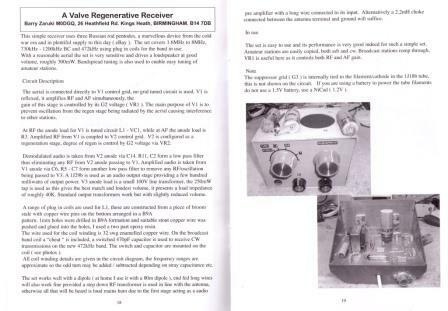 The latest edition carries a fascinating article authored by him on a homemade Valve-based Regenerative Receiver. Covering 1.6MHz to 8MHz and even medium wave, it is of very sensitive design and even drives a loudspeaker to reasonable volume too. Barry’s article appears on pages 18 & 19 of the new Winter 2014/2015 edition of SPRAT – a must read, we at Wythall Radio Club think! The Wythall Christmas Foxhunt results are in and Colin G6ZDQ is celebrating today. 10 members joined the hunt this morning; last years’ winners Steve 2E0SDD and Stacey M6STJ were joined by Callum M0MCX and his wife Wendy, Kevin 2E0NCO and his partner Marian, Stu M0NYP, Jon M0JMM, Phil 2E0WTH, husband and wife team Pete M5DUO & Anita 2E0DUO together with Colin G6ZDQ. A rather flu-ridden Steve and Stacey played first fox as reigning champions(!) and were found by Callum and Wendy. They in turn became fox 2 but were duly hunted down by Stacey and Steve! To prevent the day becoming a two-team event, Phil and Jon volunteered to be fox 3 and were duly found hiding in a country lane by Pete, Anita and Colin. 50+ miles was enough for a morning’s fun so a welcome carvery and bar followed, where it was agreed that Colin G6ZDQ should be awarded the M0GJM Memorial Trophy for 2014. Packed in like sardines at the previous D-STAR Workshop last month! 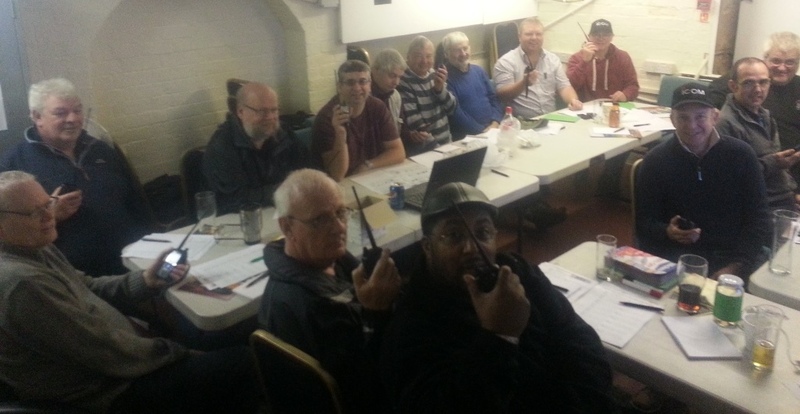 Following the success of our recent talk on “Getting Started in D-STAR”, and a practical workshop in November, which nearly 20 members attended, Wythall Radio Club is now pleased to announce a second “Hands-on” Workshop day. This Sunday morning, 28th December, Chris G7DDN will be in the club rooms, taking members (and visitors) through the steps of programming for D-STAR and how to get the best from the D-STAR ecosystem. There will be plenty of opportunities for Questions and Answers and with Wythall House bar open from lunchtime, there should even be some drinks and snacks available. The day will start at 1030 and go on until folk have had enough. 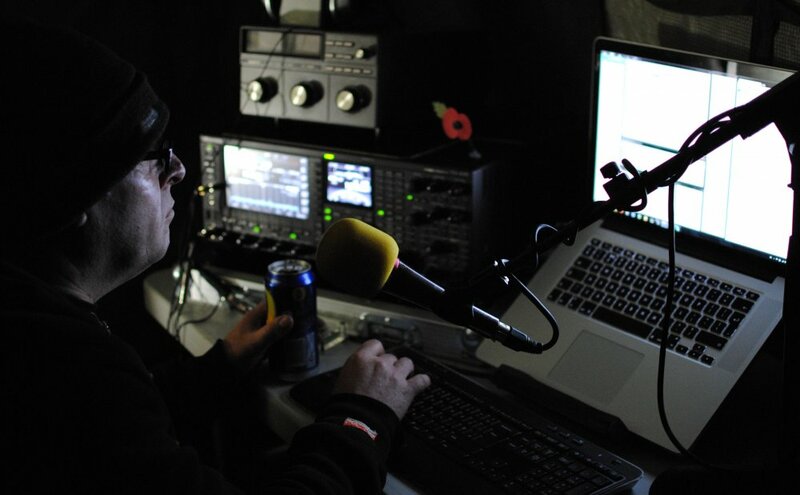 If you are interested in taking part, please register for the day with Chris G7DDN who is at [email protected] and remember to bring your radio if you have one. Tomorrow, December 27th, is a very important date in the life of Wythall Radio Club. It signifies a morning of “hunting the fox”! To radio enthusiasts, “Foxhunting” is nothing to do with horse & hound; it is all about trying to find a hidden radio transmitter (the “fox”), transmitting at short intervals every 10 minutes or so. This is not therefore an activity that one needs an amateur licence for and so is an event that friends and relatives can (and do!) join in with. In true Wythall tradition, it ends with lunch at a nearby pub and many tales will be told of how close people were to finding the “fox” first! 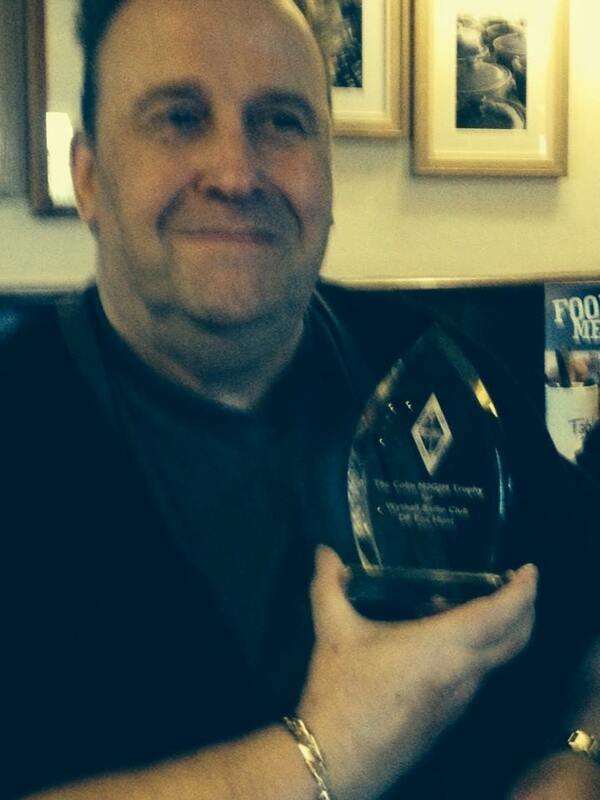 Last year saw the debut of the M0GJM Trophy in honour of the late Colin Truran M0GJM, (who sadly passed away last year). 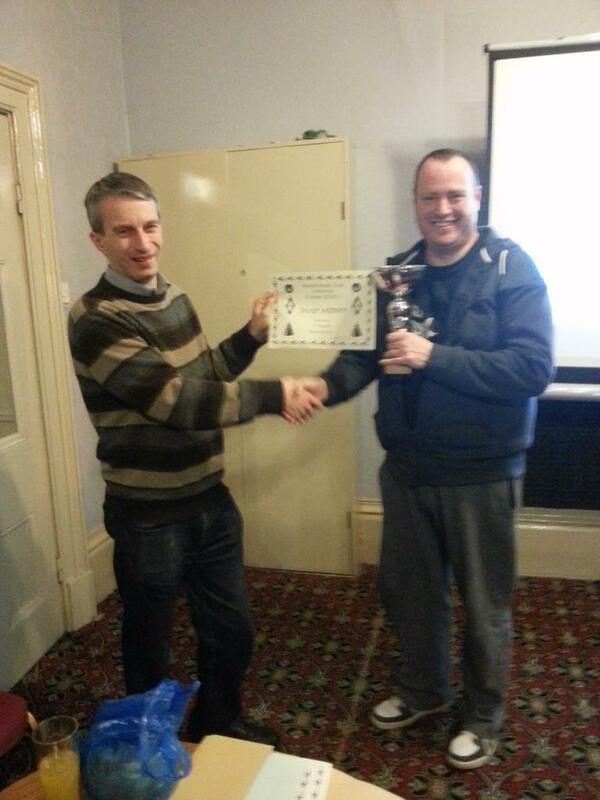 It was won by Steven 2E0SDD and Stacey M6STJ, who were very quick at “fox-finding”. We have heard that they are very keen to retain it for a further year. We shall see! The members of Wythall Radio Club would like to wish all readers of (and visitors to) our website the best season’s greetings! 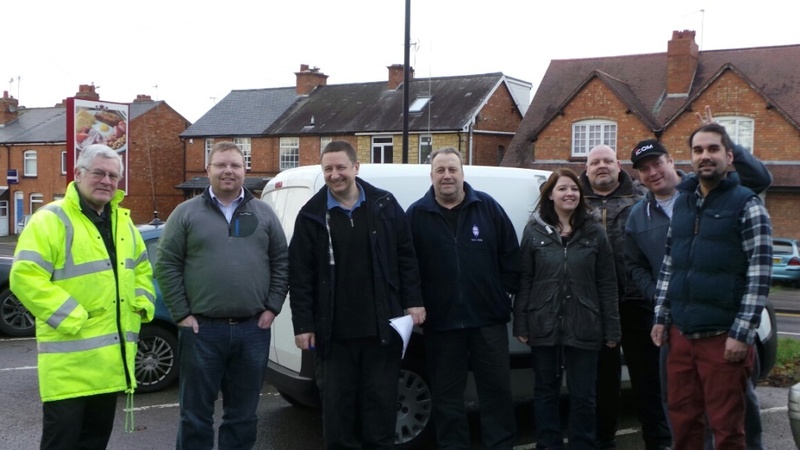 It’s been another great year at Wythall RC with our new 432MHz repeater at the centre of it. We look forward to building on our successes in the future. Remember to check our Club Calendar page regularly – why not make it a New Year’s Resolution to come along to one of our Club events and say hello sometime? Members are encouraged to work each other as often as possible between Christmas Eve at 20:00 and New Year’s Day at 20:00. The rules are a little difficult to explain here but suffice it to say that at the end of the event, we take our best 5 days scores and submit them to the adjudicators. 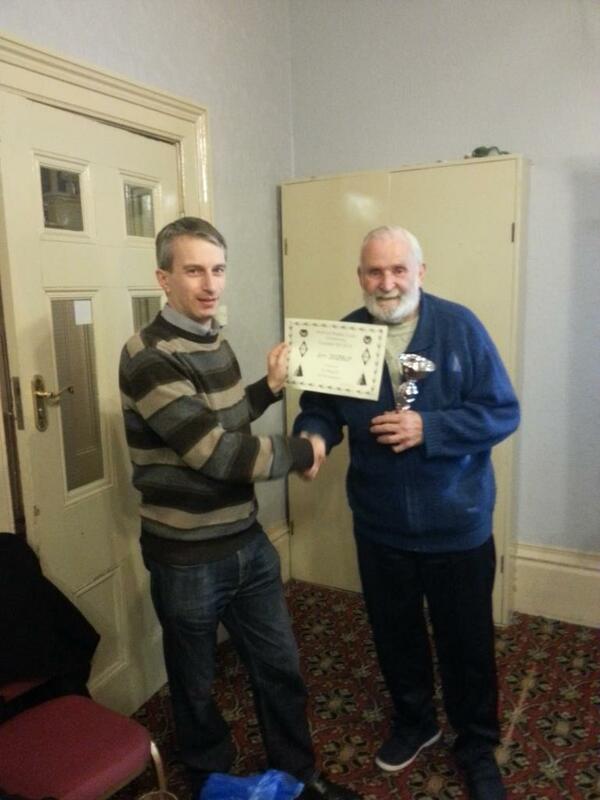 They then come up with the results, which are celebrated with a presentation evening in January. It is all about “having fun with RF” as our club motto states, and it invariably lives up to its name. So if you hear strange goings-on on the airwaves (especially on 145.225 MHz FM or perhaps even on our new repeater GB3WL) over the Christmas holidays, don’t be alarmed – in fact, please join in and say “hello”. Once again, Wythall Radio Club has done brilliantly in the annual 1.8MHz RSGB Club Calls Contest. This year’s contest took place last month and the results have just appeared on the RSGB Contest website. Congratulations to our Club Station GX4WAC which finished 3rd in the individual places out of the 99 stations taking part. The team, comprising Lee G0MTN, Stan G4JGV and Anita 2E0DUO, scooped 5171 points just 453 points off the top spot. In the club rankings, Wythall again finished in 3rd place (out of 49 Clubs) with our team of GX4WAC, G3YXM, G0WRC who were out portable and G7DDN. With the top two spots in the contest taken by “serious” Contest Groups, that makes Wythall Radio Club the top “ordinary” club in the listings. Even better arguably, our ‘B’ team, comprising Simon G4TVR, Chris G0EYO, Rob 2E0MEX and David G0ICJ finished in an incredible 8th place, beating many club’s A teams! Well done to everyone who took part. Perhaps next year we might even catch those Contest Groups up! Antennas are the lifeblood of the active Radio enthusiast. At Wythall Radio Club, we are only too well aware of that, having replaced our main tower antennas earlier this year! So when a visiting speaker with expert knowledge comes to do a presentation on the subject, you can guarantee there will be a full house! 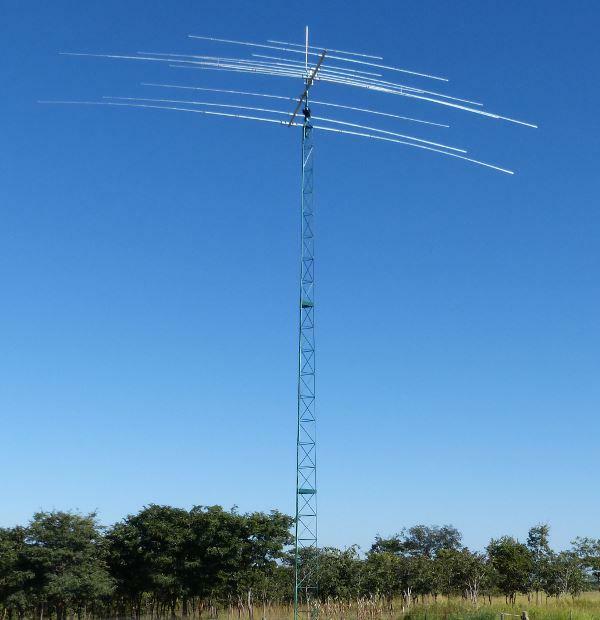 This Tuesday, friend of the club Mark G4FPH, a broadcast professional, will be presenting “Effective HF Antennas”. Mark is well known to us at Wythall for previous talks and for getting his hands dirty with us at some of our special events. He is a very welcome visitor! We know from previous evenings with Mark that we will be in for a very informative and challenging evening. As Wythall members are known for taking new ideas on board, we fully expect to hear about members trying out some of Mark’s ideas in 2015! Why not join us for the evening? The talk starts tomorrow night (16th December) at 20:30 in the Darts Room at Wythall House, Silver Street, Wythall B47 6LZ. Visitors are most welcome.